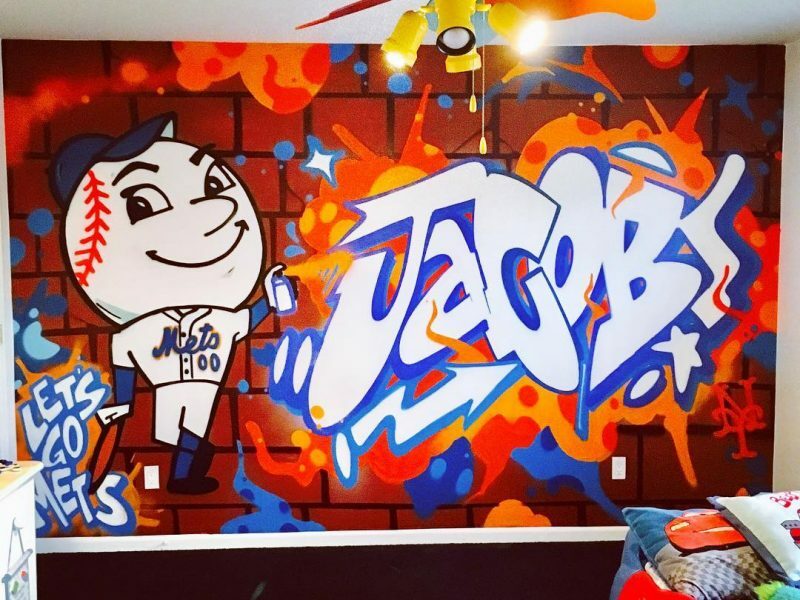 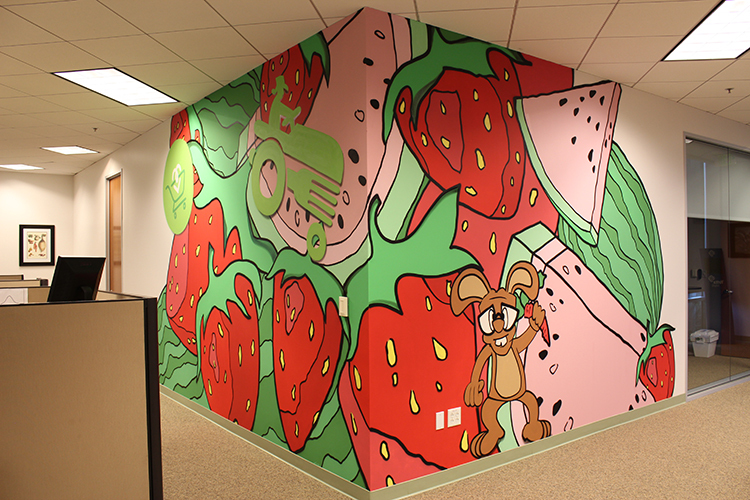 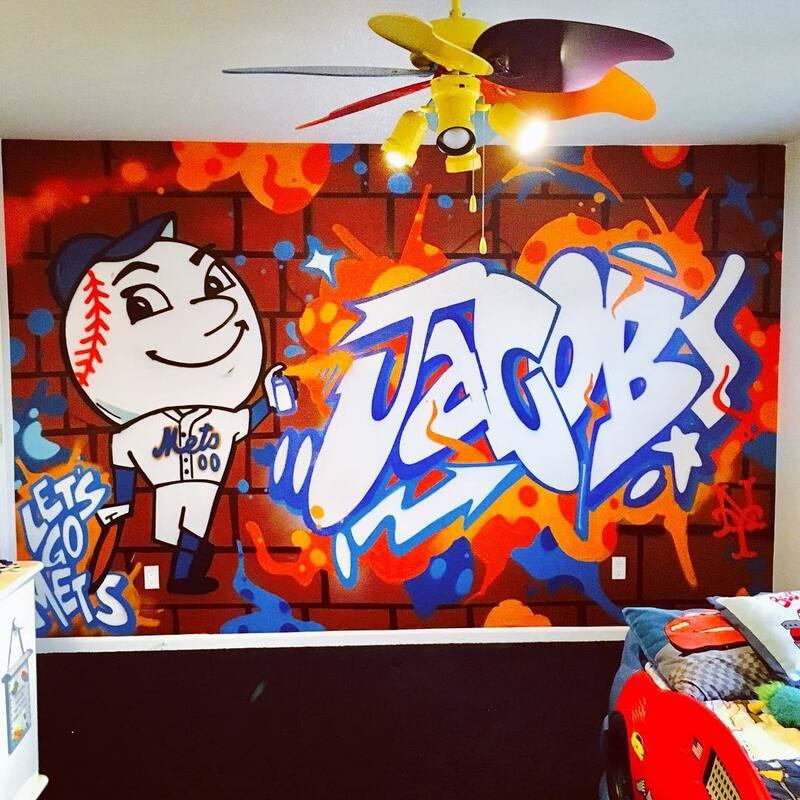 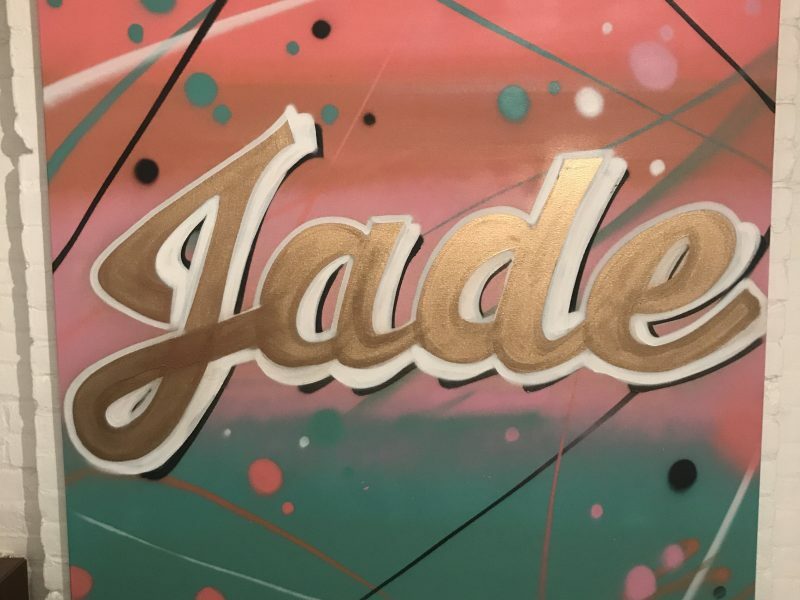 Mural work for a child's bedroom. 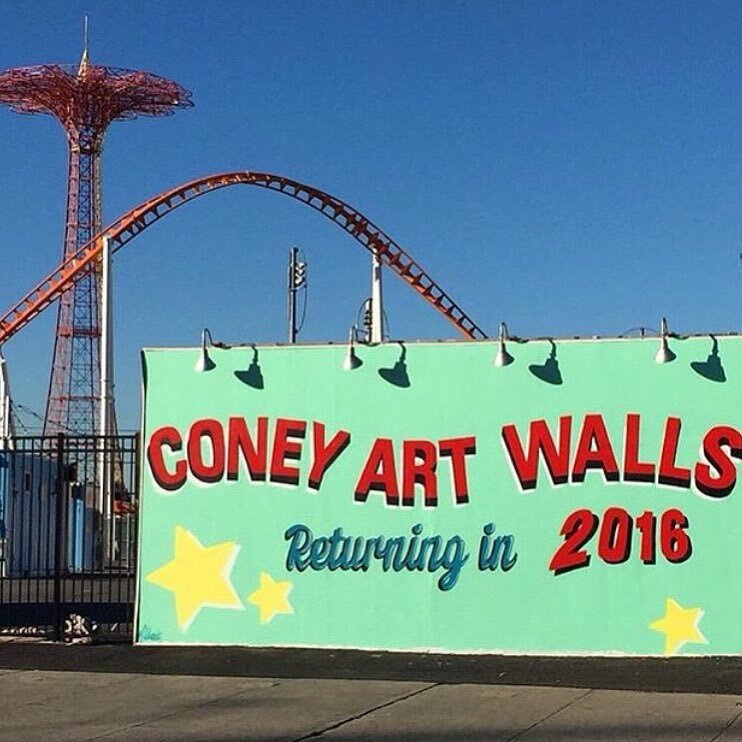 Welcome to Coney Island mural. 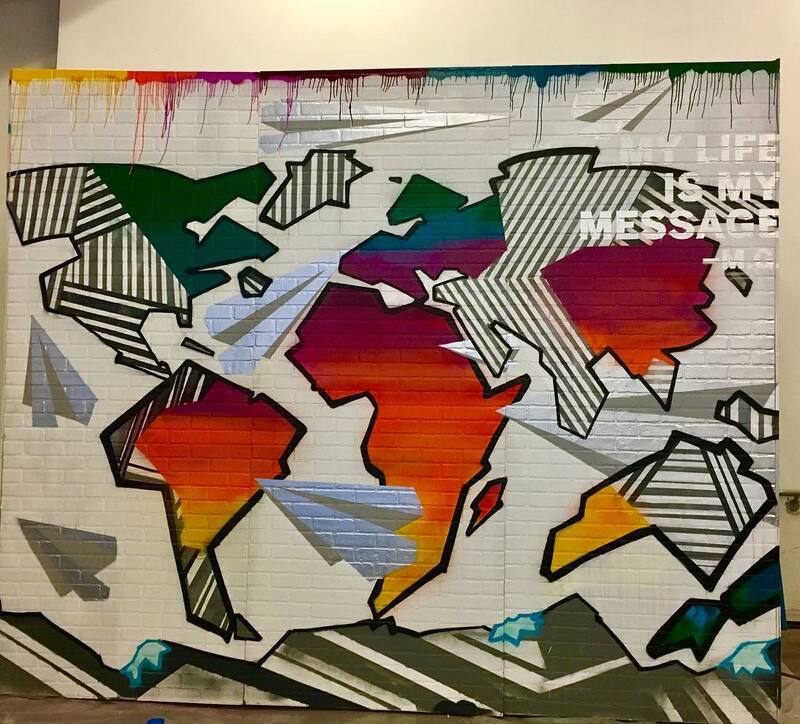 Recent abstract map commission for American Express Platinum world travel event. 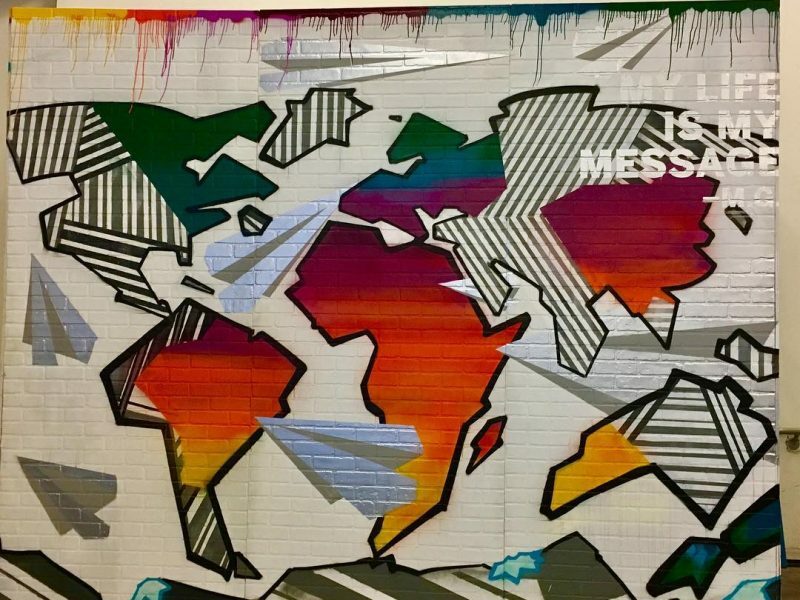 The paper airplanes help send you around the globe! 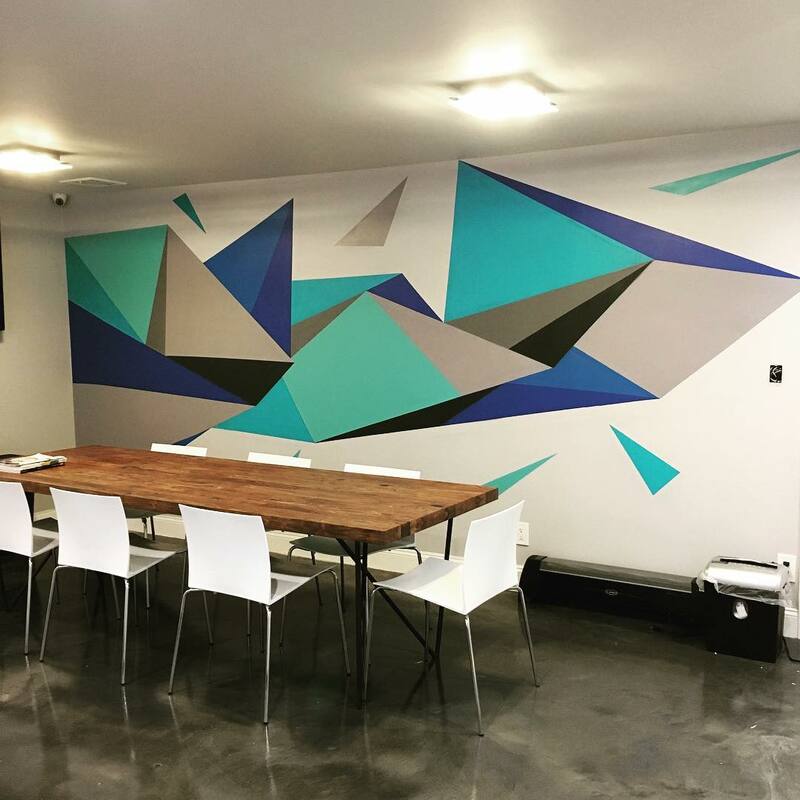 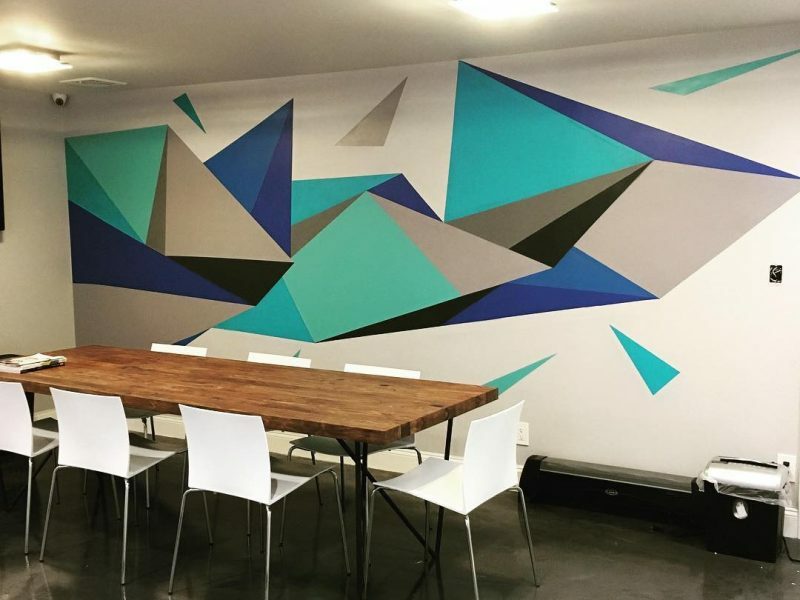 "Work Liquid" anamorphic typography at Grind Space offices. 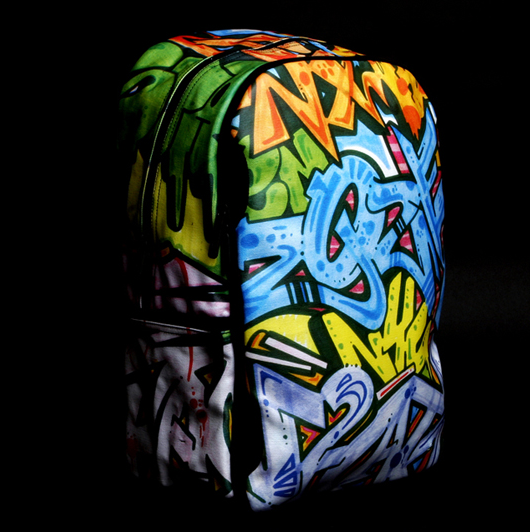 Limited edition backpack for Sprayground circa 2009. 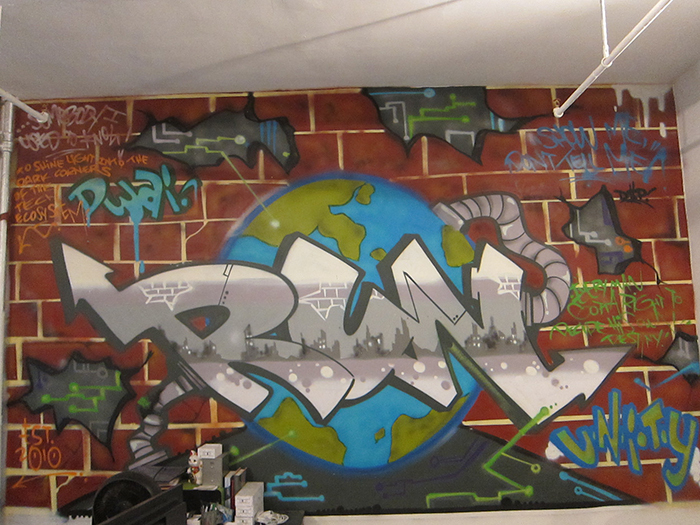 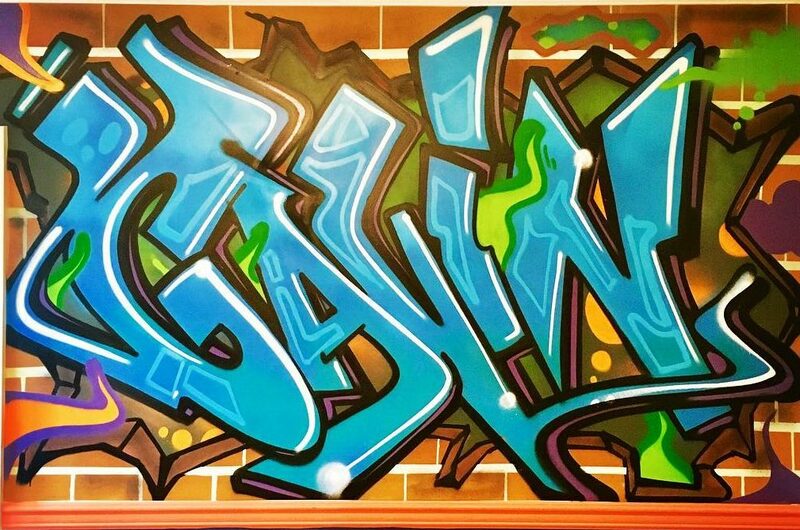 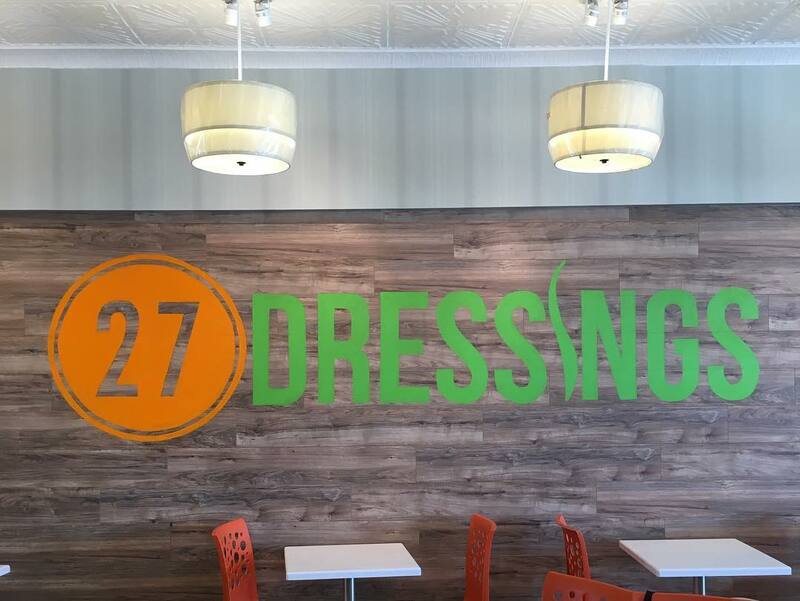 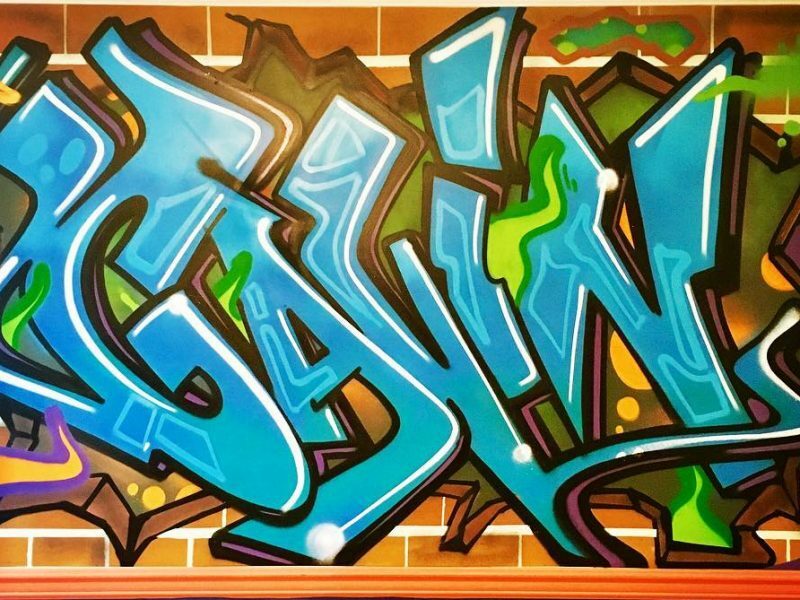 Wall art for 27 Dressings, Great Neck, NY. 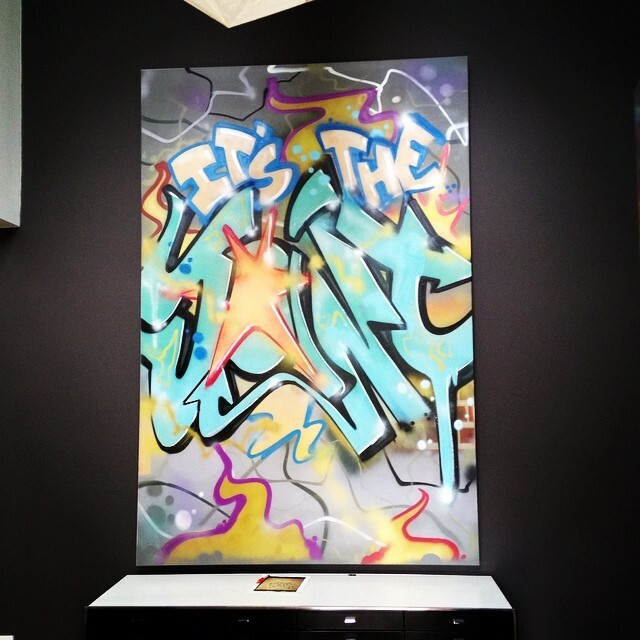 Recent "It's The Joint!" 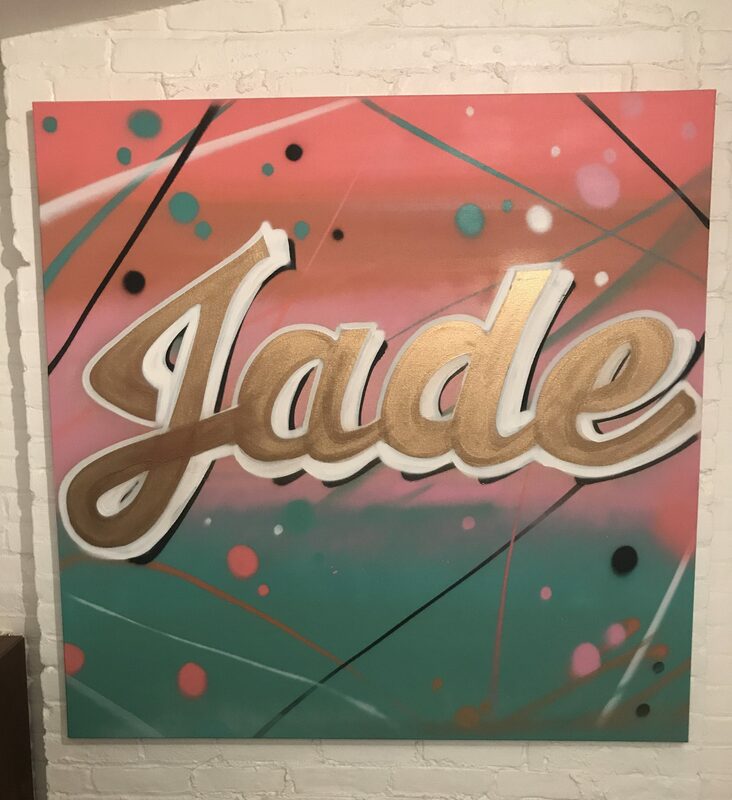 canvas commission for a client. 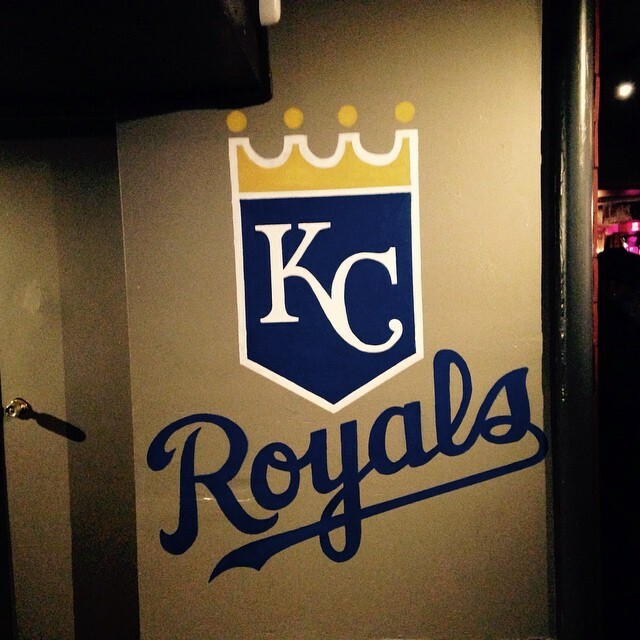 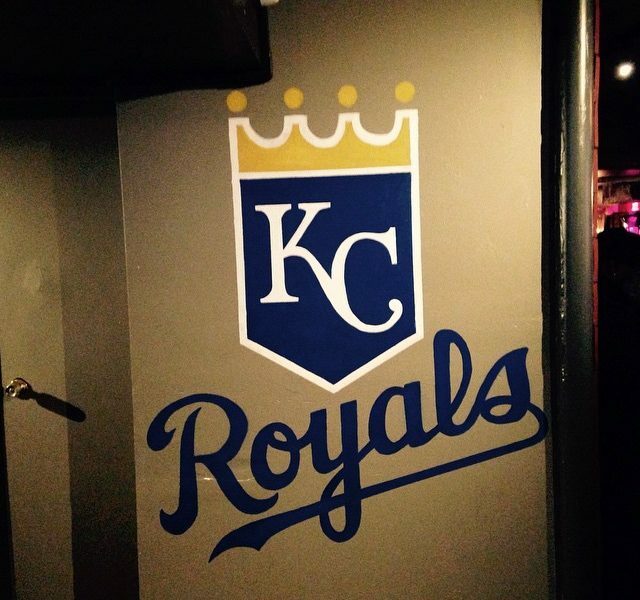 For the underdogs at Village Pourhouse, a Kansas City Royals and Chiefs bar in downtown Manhattan. 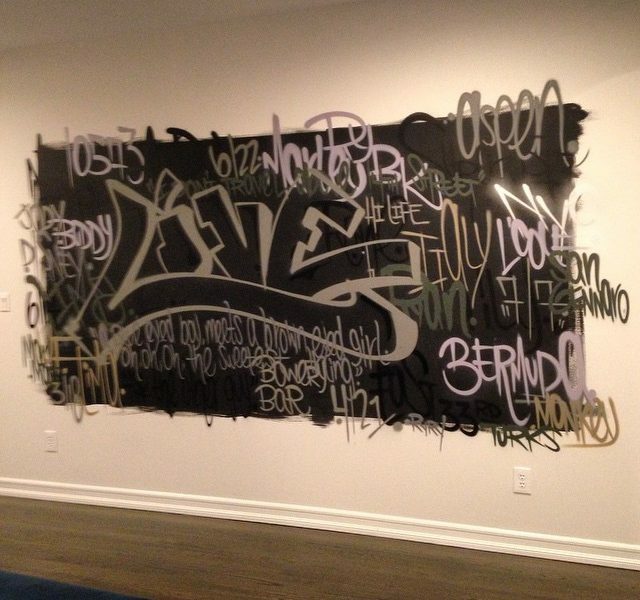 Simple greyscale "Live" commission in a client's living room. 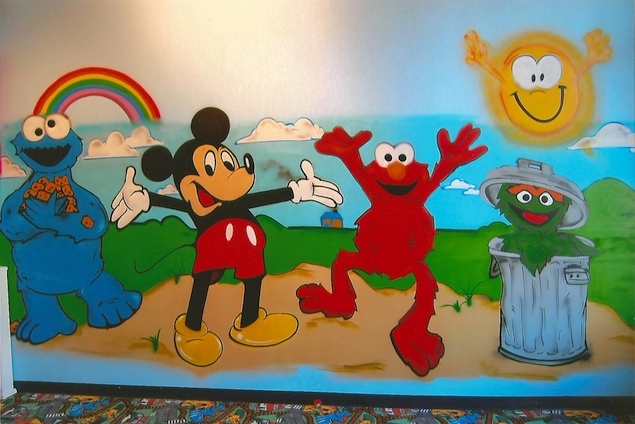 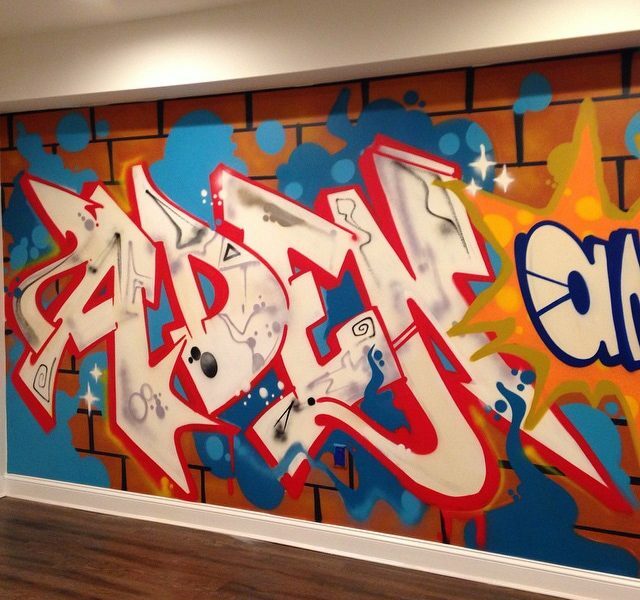 Sesame Street wall mural in a child's bedroom. 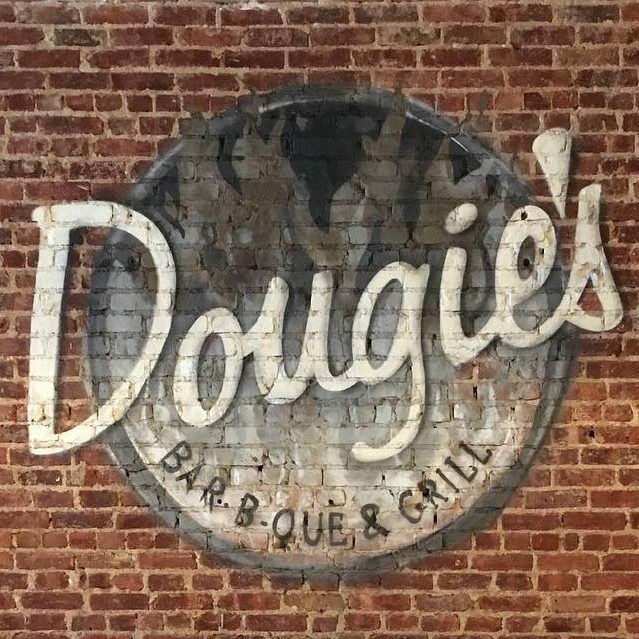 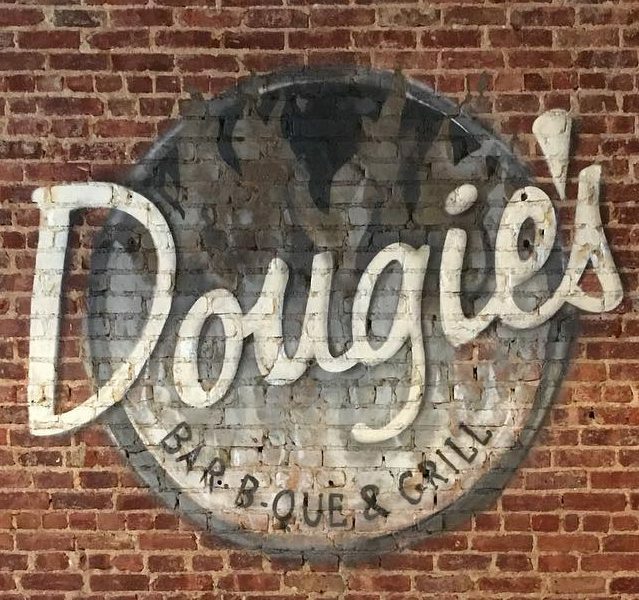 Wall art at Dougie's BBQ & Grill, Manhattan. 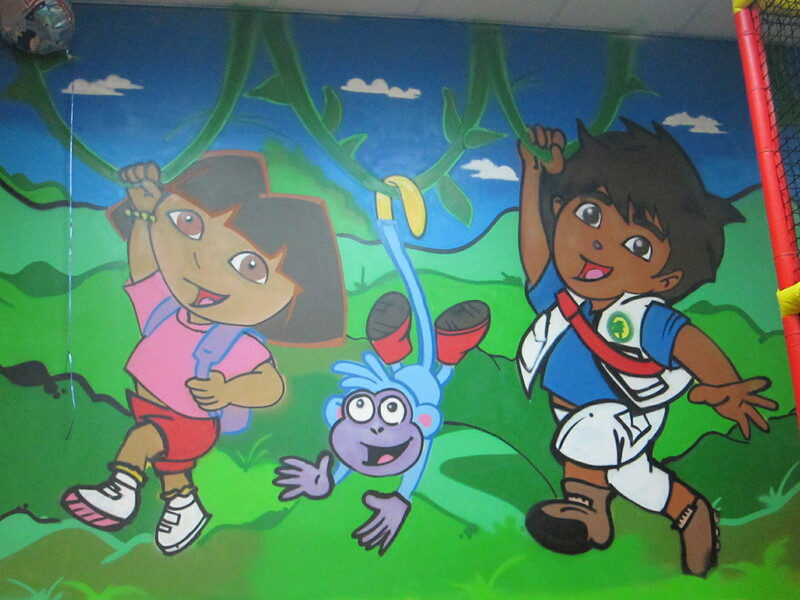 Dora The Explorer themed mural in a child's bedroom. 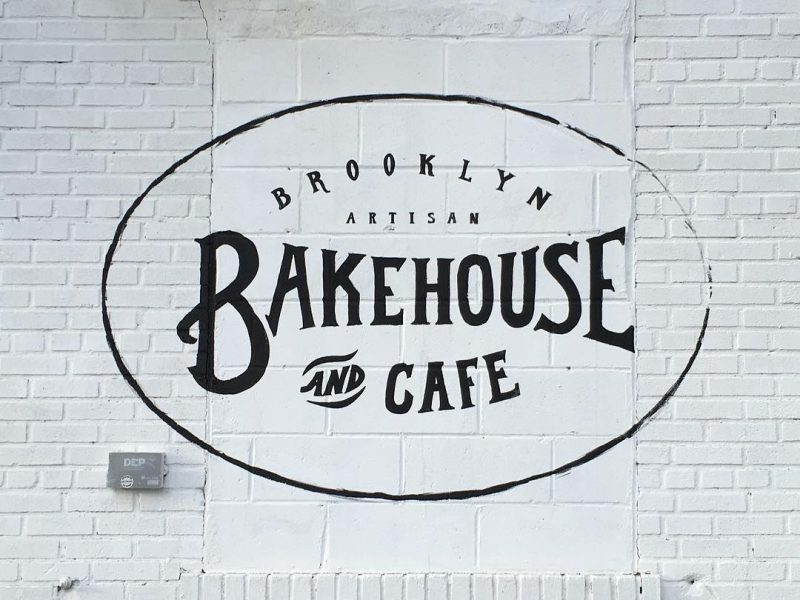 Wall art for Bakehouse Cafe, Brooklyn. 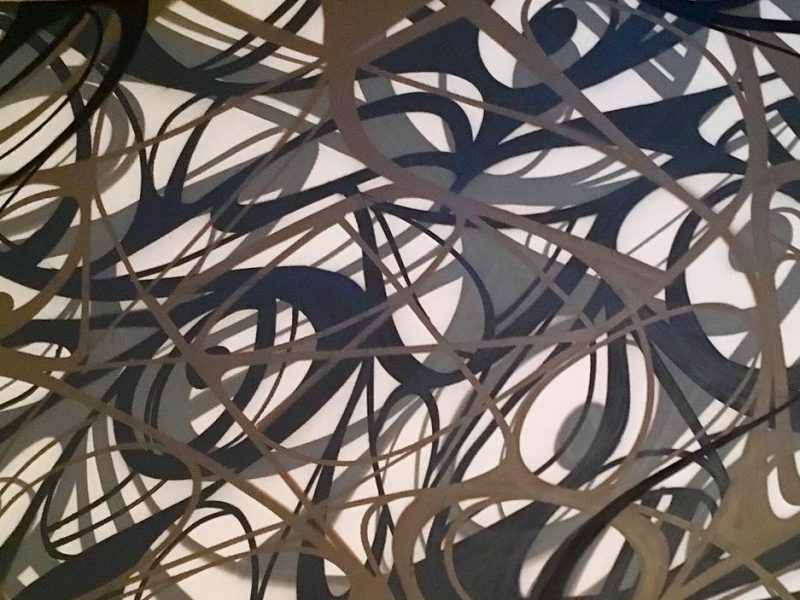 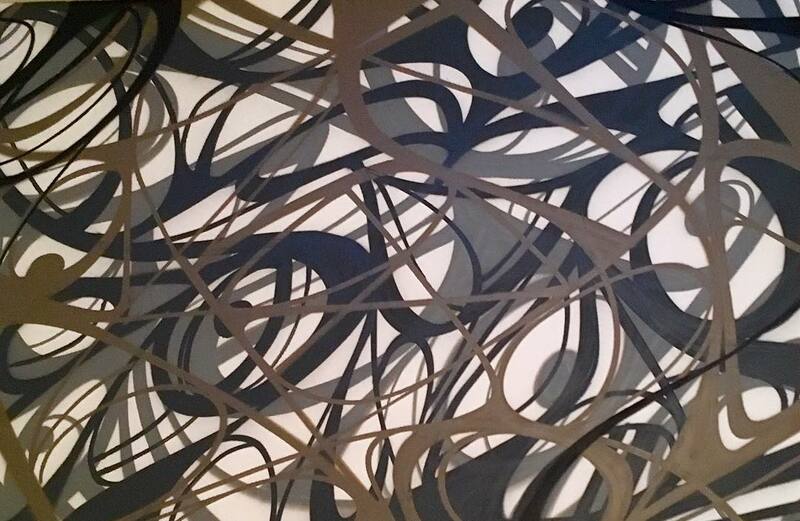 Abstract line work commissioned for a client's living room. 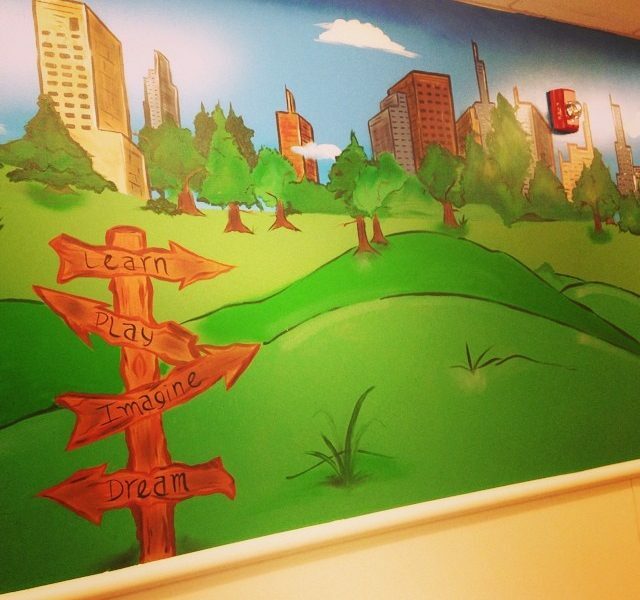 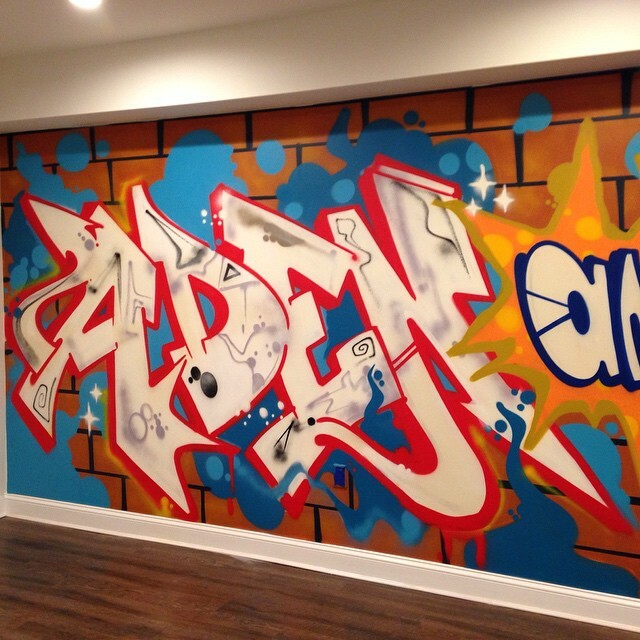 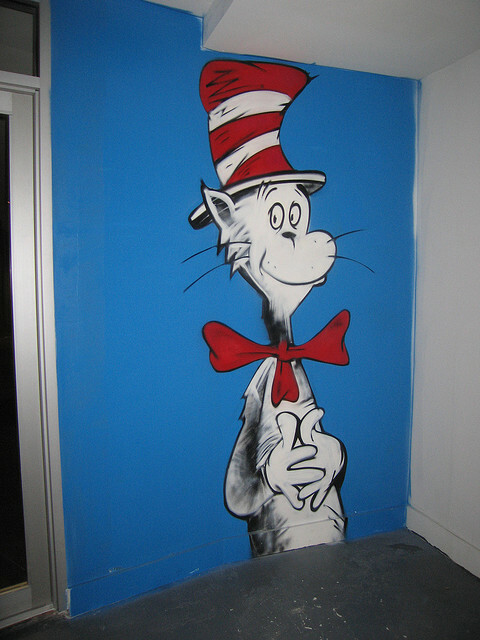 Dr Seuss themed mural in a child's bedroom. 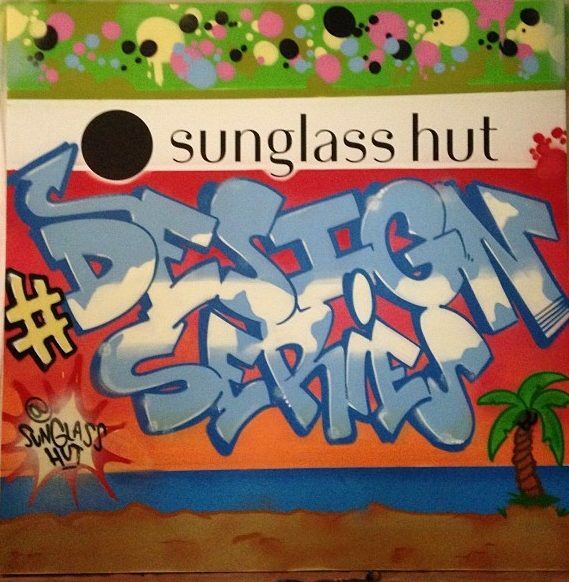 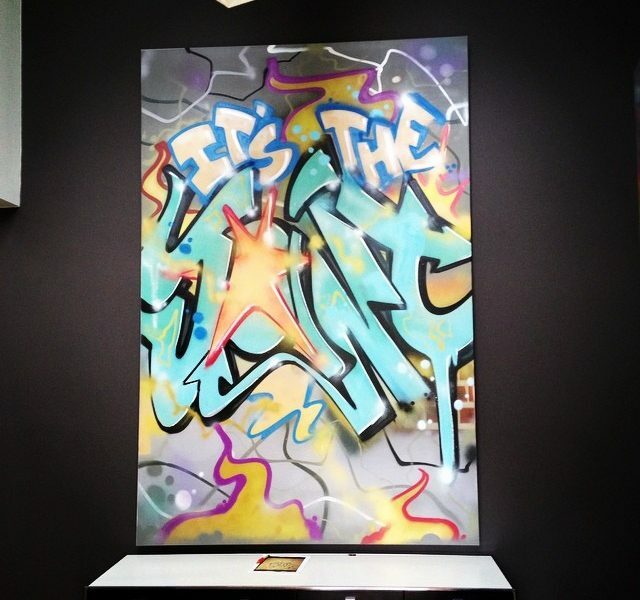 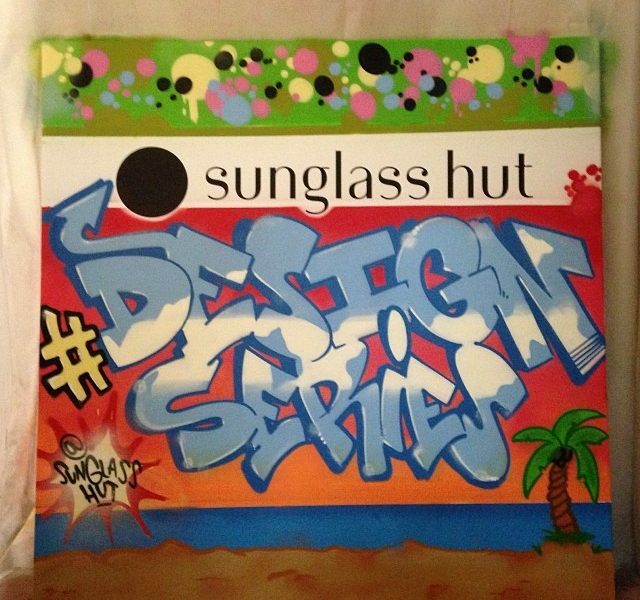 Wall mural for Sunglass Hut:Design Series. 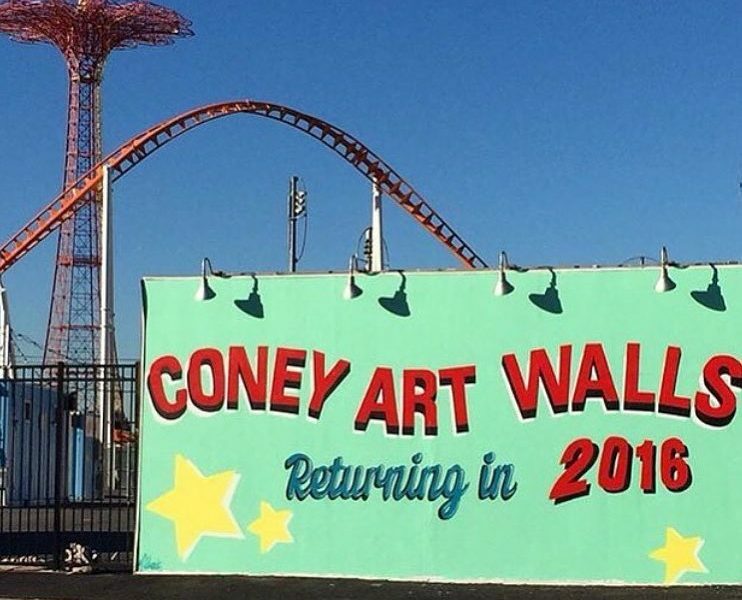 Fun wall from a while back welcoming people to "Coney Art Walls". 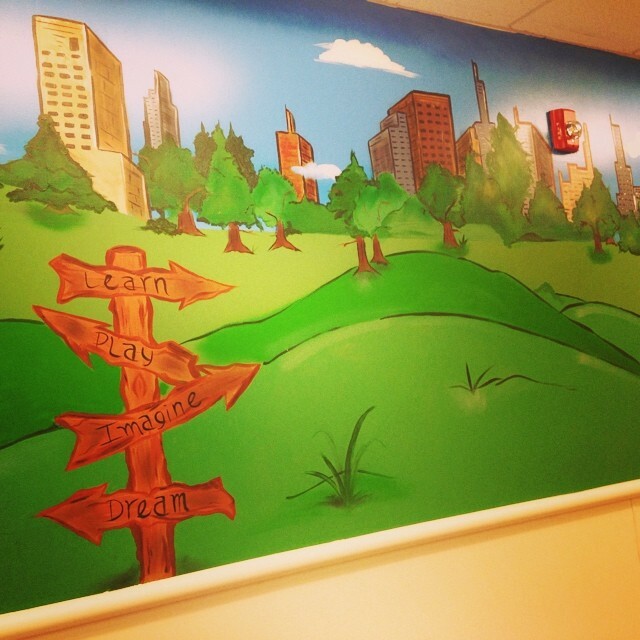 Central Park mural in a child's bedroom. 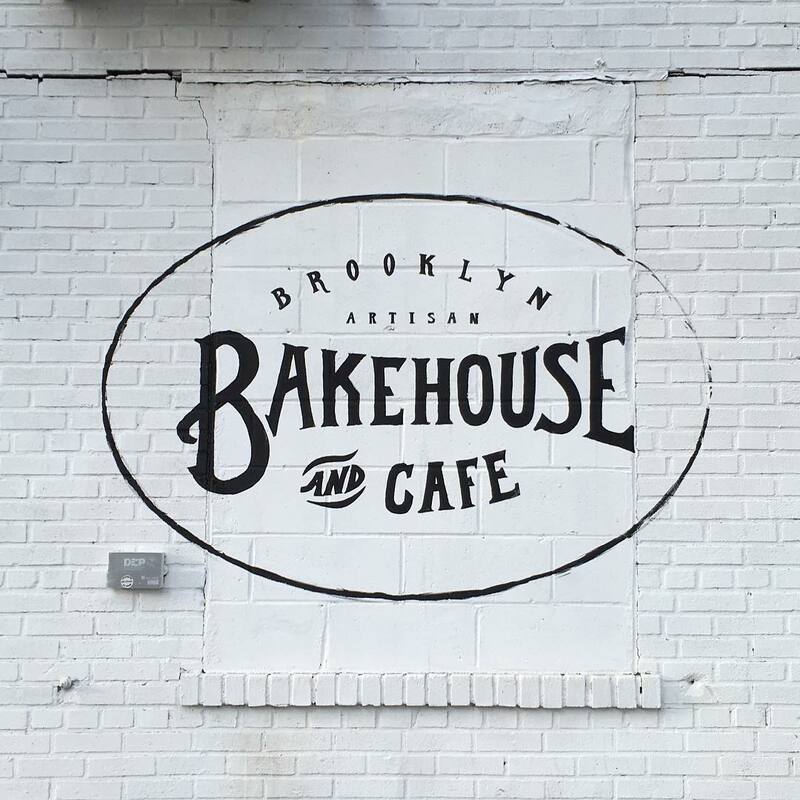 Submit the form below to start a conversation.